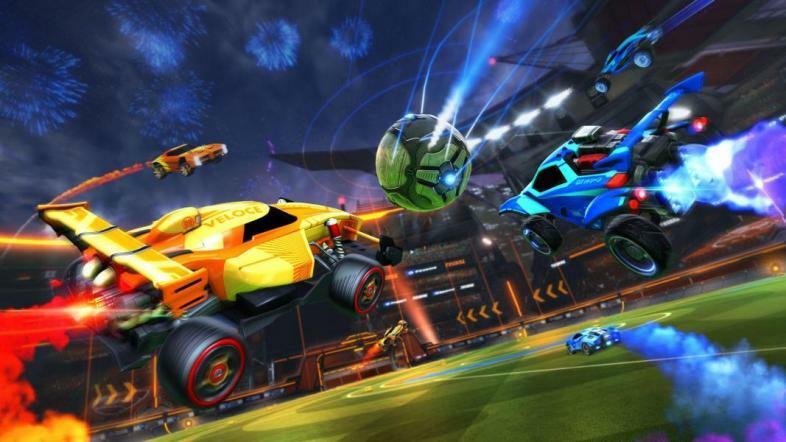 Rocket League, the Psyonix, Inc. produced title that can only be described as car-based soccer with jetpacks, shows no sign of stopping in their quest to give gamers as much bang for their buck as possible. Released in July of 2015, Rocket League distinguished itself as a vibrant and easy to pick up title that has become one of the most popular esports titles to date. The purpose of Psyonix, Inc.’s latest expansion seeks to address concerns over their previous trade-in system which allowed players to exchange unused items and accessories for rare drops. While players appreciated a way to make use of items they no longer used, there were numerous concerns still to be addressed. The most recent patch not only promises more refined and intuitive loot drops but adds content to a title already brimming with official and Steam Workshop mods. The Trade-In expansion covers a number of cosmetic changes to the player’s vehicle such as different and unique bodies, rocket boosts (ranging from spectacular to downright nerdy), and an assortment of exotic wheel drops. Rocket League’s latest expansion precedes regional competitions in the United States which will be broadcast on NBCSports.com as well on numerous Twitch streams on August 5th and 6th. As a way to encourage fans of Rocket League and the growing world of esports to watch, a Fan Rewards program will be broadcast throughout the league series. Owners of Rocket League can expect rare loot drops and prompts for viewing while watching some of the league’s star players compete in 2v2 games. This most recent expansion by Psyonix, Inc. shows a deep understanding of their demographic while expanding the brand to include content such as Hot Wheels, The Fast and the Furious, as well as the Back to the Future Franchise. And with the recent addition of Rocket League to the Nintendo Switch, their fan base can only be expected to grow. Players and enthusiasts alike can check out scheduled games and (local) times here as well as promotional content to be expected in the coming weeks.